AWM image DA16067 out of copyright. In a few days, Australians and New Zealanders will commemorate a date of great importance in both our nations’ histories, Anzac Day. Since this is an international blog I thought it might be a good idea to talk a little about Anzac Day and why it’s significant to us. Of course this will be to a large extent my own perspective and the New Zealanders (aka Kiwis) will have somewhat different views and experiences, so please excuse my focus on this side of the Ditch. Firstly, what does ANZAC even mean? It’s an acronym for Australia New Zealand Army Corps and represents the combined military forces of both nations that was mustered at the beginning of World War I, a key milestone for 2014. Historians, writers and family historians are bound to spend hours writing about matters military over the next few years. Some of you may even wonder why Australia and New Zealand got involved in an overseas conflict. Both nations were of course British colonies though Australia had the dubious distinction of being a convict dumping ground for Britain after the American colonies gained independence. Although Australia had many immigrants from other nations, Britain was still seen as “home” or the “motherland” by many. Any conflict which affected the homeland affected us, ipso facto. On top of which, Australia had only become an independent nation in 1901 albeit part of the the British Empire. We were involved in the Boer War also, but it wasn’t until 1915 at Gallipoli that our forces en masse were tested in battle to such a scale. Australia’s disenchantment at the motherland probably started there as the military strategies and planning of the British generals were called into question. At least 8,141 Australian men died during the Gallipoli campaign and there were over 26,000 casualties. One of those casualties was Peter’s paternal great-uncle, Walter Edmund Hutchinson Cass, who was injured at Gallipoli. He was a professional soldier and went on to fight on the Western Front, but the loss of so many of his men at Fromelles destroyed him. There are many references to him in the book, Don’t Forget Me, Cobber[i]. AWM Image A00862, out of copyright. The call to arms was answered swiftly in Australia with men enlisting almost from the start of the war. My husband’s great uncle, Sydney Pentland, 21 years old and from Laen in rural Victoria enlisted on 19 September 1914 with the 8th Light Horse Battalion and arrived at Gallipoli in June 1915. As Light Horse Battalions, they had not been deemed suitable for the initial Anzac landing. He was taken to hospital in Malta in June 1915 ill with influenza, however his family were advised by letter that he had been wounded. Sydney returned to Gallipoli once again in July. A bout of influenza in August saw Sydney evacuated once again, this time to Alexandria: the terrible conditions on Gallipoli were taking their toll on the men. He returned to Gallipoli on 25 October 1915 after he recovered. Sydney died on Gallipoli of shrapnel wounds to the skull on 1 November 1915. Sydney Pentland's name is among those on the Lone Pine Memorial. His brother Donald Black Pentland, 19 enlisted in June 1916 and died on the Western Front on 4 October 1917. He is remembered on the Ypres Memorial Gate. Peter’s mother blamed Winston Churchill for the loss of her uncles, and no doubt the effect on her mother, Ellen, who I imagined shared her sentiments. Her personal vendetta and loathing continued throughout her life. We hope to visit both memorials later this year and place poppies against their names. 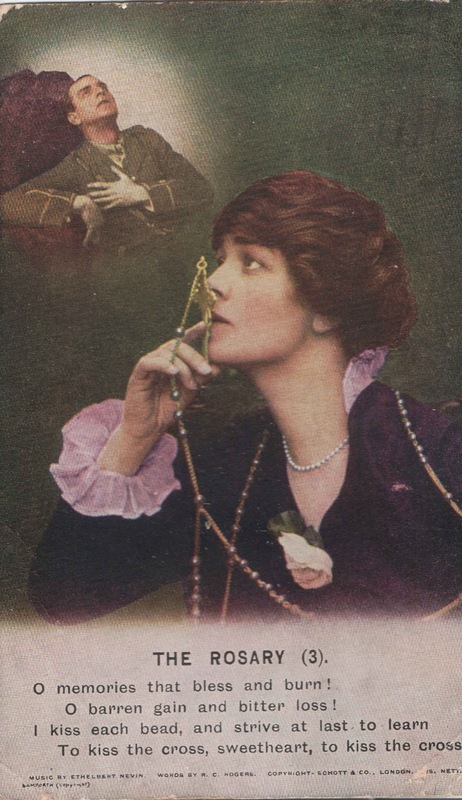 Postcard from the Fisher family's collection. In many ways Sydney and Donald were typical of the Australian troops where many men came from country areas: the men were capable and skilled in their horse riding (hence so many Light Horse regiments), and also their use of rifles. For all their practical experience, they were innocent in so many ways, as evidenced by the simplicity of the games played on the long voyages to Europe and back. The ship’s voyages are a great resource at the Australian War Memorial. While the men’s primary motivation may have been responding to the call of the British Empire, at least some was a response to economic conditions, poor seasons, and the chance for what they thought was a grand adventure. As they set forth it was common for the men to be given some special gifts by the local community such as hair brushes, and my cousin Nora tells me her father Les was given a miniature prayer book which he later sent home to his sister. Christmas gifts, letters, and postcards kept the men in touch with their families at home in Australia. Recruitment train at Wallumbilla, Qld c 1916. AWM image HO2211. Copyright expired. No doubt some also visited relatives in Ireland or the United Kingdom while they were on furlough…at least some aunts, uncles and cousins would still have been alive in the places where their own families had left. Enlistment drives were held nation-wide via train or recruiting marches. Strangely to me, the men who returned seemed happy to encourage their fellows to enlist, despite what they themselves had seen. 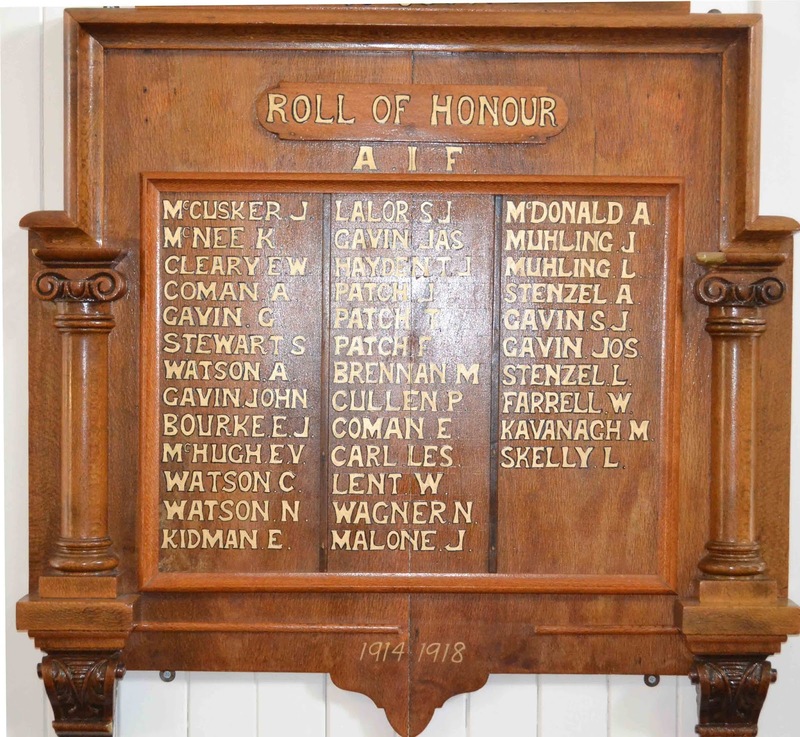 The WWI Honour Board for the Catholic men of Crows Nest, Qld. Held by the Crows Nest Folk Museum and photographed and published with permission. It includes James Gavin (KIA) and his brothers. Uniquely, the Australians were all volunteers – even in the defeated mid-war referenda of 1916 and 1917 the serving soldiers believed that service should be voluntary even though they thought more men should answer the call. Interestingly there was strong representation from descendants of German settlers, despite the wartime hysteria. You can read my story about some of them here. Australia’s Indigenous servicemen have tended to be overlooked until recently: click on the link to read my story in 2013. Can anyone tell me if the New Zealanders were also all volunteers? I suspect it may have been all the ANZAC forces but it's not clear. The Anzacs were known for their casual response to military discipline and rank and often found themselves in bother. However they were not subject to the British firing squads if they were court martialled. 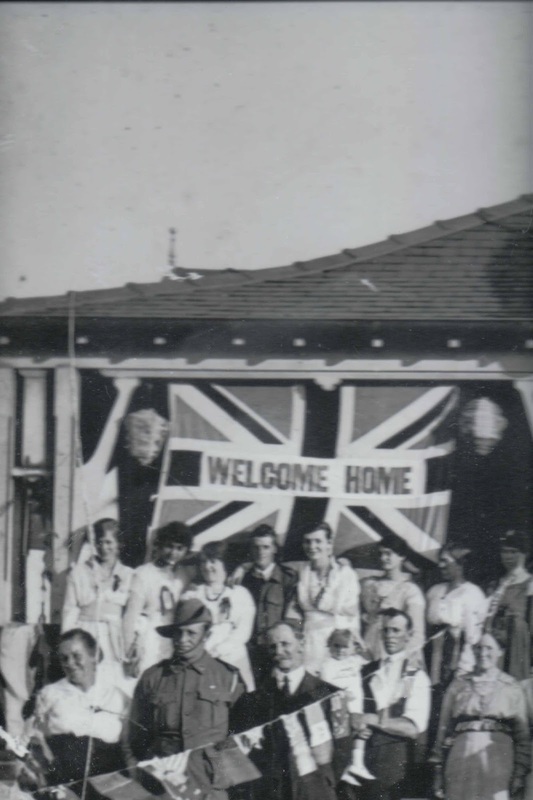 A Digger is welcomed home in Sydney. From the personal collection of the Fisher family. It would be a rare family in Australia who had no one serving as an Anzac in World War I, and almost certainly no community was unaffected by loss, and memorials are scattered the length and breadth of the country. Many families had more than one son serving and some families lost more than one son, as did the Pentlands. The letters on the men’s service files are full of pathos as one reads of wives or families hoping for some small token of their sons or husbands, little understanding the sheer devastation of the battlefields. How they must have struggled to come to terms with the ambiguities of their loss. When the men returned there was no real understanding of what they’d gone through, as there never really is after war…how can there be? National, home and local celebrations were held to honour them and in some places they were gifted with special memorial medals donated by the local community. I apologise that this is a very Aussie-focused post. I’m really not knowledgeable enough about the impact and details on New Zealand to comment with any accuracy. Each year there is an Anzac Day blog theme (scroll down to see links for previous years) and for the past few years it’s been hosted by our Kiwi mates. I’ve written about my own, and my German interests often on my blog and you can find the stories through this link. From the Australian War Memorial site we get a sense of the contribution of this new nation. At almost 65%, the Australian casualty rate (proportionate to total embarkations) was among the highest of the war. James Gavin enlisted 9 July 1915, KIA 19 July 1916 (Fromelles) buried Rue Petillon Cemetery, Fleurbaix. James Paterson: enlisted 31 August 1915, died 5 April 1917 (Noreuil) on Villers-Brettoneux Memorial. Jack Gavin: enlisted 4 September 1915, died 8 June 1917 at the Battle of Messines, buried Kandahar Farm Cemetery. Australian War Memorial for embarkation lists, nominal rolls, war diaries and ship records. Australian National Archives for digitised copies of the men’s service records. Trove for stories sent home which lend a personal touch to the circumstances, and also letters sent back to family members at home. Commonwealth War Graves Commission for information about the cemeteries where our ANZACS are buried or commemorated. Happy Easter to everyone in Worldwide Genealogy, both readers and bloggers. [i] Don’t Forget Me, Cobber: the Battle of Fromelles 19/20 July 1916. Corfield, R S. Corfield and Company, Victoria 2000. (A cobber was an Australian term for a mate, now sadly almost disappeared from the vernacular language). Thanks Julie. The AWM is a very special place and all those names on the wall bring home the impact of war. I especially like the rosemary garden and pool. What a wonderful tribute for ANZAC Day. My second cousin 3 times removed was killed at Gallipoli on 8 May 1915. A "new" Semple cousin, discovered since I became interested in family history, lives in New Zealand and was able to visit his grave and attend a sunrise service on ANZAC Day. He is buried at Twelve Tree Copse Cemetery in Turkey. It's why your tribute meant so much to me. That would have been a very special experience Schalene. I'm so pleased you appreciated the story. Thanks so much for contributing this post to our TransTasman Anzac Day Blog Challenge. Really appreciate it. 120,000 served of which 18,500 died (2700 at Gallipoli), 41,000 were wounded. Devastating on our small population. Pauleen, your post resonated with me for several reasons. I have Ypres on my "bucket list". I have several family members listed on the memorial. I think it is amazing that they still stop traffic and remember them every night! We can never understand what they went through but only remember their sacrifices and dedication! I didn't realise that all the Australians were volunteers! In New Zealand, computsory military conscription was brought in from August 1916. Thanks for the fascinating post. Great post Pauleen - as always! You have whetted my appetite to find out more about the ships voyages at the Australian War Memorial. There's always so much to discover on these fabulous websites. Thanks for the tip. A wonderful tribute, as I did not know much about the involvement of Australia & New Zealand troops. I feel very strongly that we should never forget how our ancestors fought in two world wars and other conflicts. and it is up to us to keep their experiences, sacrifice and memory alive. Thank you. My Brick Wall Continues to Haunt me. Ancestor Swap Challenge - are you in? The 5Ws - Who or Whom?